I didn’t read as much as I had hoped to this year. Between losing my dad to cancer, suffering through early pregnancy symptoms while raising my other two, writing and publishing an eBook and just living day-to-day… life was a tad bit crazy in 2014. My personal goal was to read about 100 books and I didn’t even come close this year. Even without all the unknown events that took place this year, it was probably a bit of an ambitious goal to start out with but there is grace. 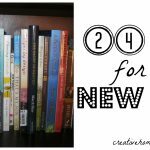 I did manged to read a good amount of books and from those books there was a handful of books that really stuck out to me and I honestly enjoyed reading. As the year is coming to a close and I am reflecting on all that was good and hard, as well as personal goals accomplished (I’ll be sharing my update at the end of the month) and things that challenged me, both in life and reading, I always love the looking back part. To see how much I have grown, what I have done, what I’ve read, and what I’ve accomplished over the last year. I think that’s the beauty of year’s end and then a new year starting… reflection, growth, and looking ahead to a fresh start. So with that being said, I wanted to share with you my top 6 reads from 2014 that I enjoyed this year, that stuck out to me, that I’m still thinking about and even one that I didn’t even like all that much (I’ll explain why in a minute). What I loved about this personal memoir from Tsh is that it didn’t feel like I had read it before. So many times when a blogger publishes a book they include so many stories from their blog, which isn’t a bad thing but sometimes it can be redundant if the entire book is filled with reformatted blog posts. You can read more of my thoughts on this book here. This was one of those books that made me laugh and think all at the same time. I enjoyed Melanie’s wit and humor, yet I was also challenged as well. She shared her journey of becoming a mother and the challenges that come once your dream is fulfilled. I have her next book on marriage on my to-read list for the new year. Part memoir, part cookbook, Shauna shares her love for food, family and community around the table with lots of delicious food. Several of the recipes included have now become family favorites, with several more on the line-up to make in the near future. And don’t be confused by the title either, this book is not about wine, it’s about sharing life together around heaping plates of good food with friends and family you love more than anything. This was one of those books that I included in my list up of books with endings that disappoint. I’m not going to lie, I thought the last chapter and the way the Ms. Bryan hastily wrapped up several story lines was terrible. This book could easily have been split up into two books but with that being said everything leading up to the last chapter was good. The stories of several different women were intertwined in an intriguing way, although there could have been a little bit more character development for a few of the characters. Also the way Ms. Bryant described the struggles and terrors of living in England during WWII was very realistic, several parts felt as if you were actually among the bombings in the street. The fourth and final book I read my Ms. Morton (although her next book is being released sometime in 2015 which I’m super excited about!) and probably one of my favorites. I loved the twists and turns of this story that kept me guessing right up to the end. Kate Morton is an excellent storyteller and even with several different plot lines from different character’s perspective, it is was intriguing read that I couldn’t put down. 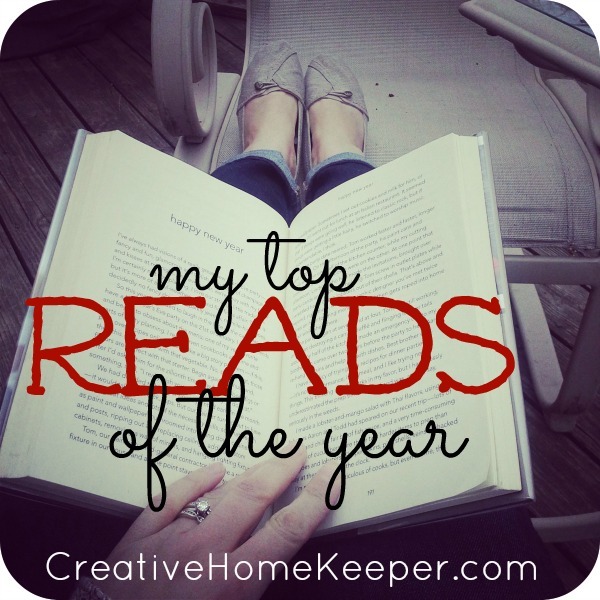 So there you have it, my top favorite reads from the year. Again not as many as I would have liked, but the reading that I did do was enjoyable and since I was reading at a slower pace than normal, I was able to soak up more knowledge and insight from everything that I read. It’s funny, because the books that I had planned on reading this year, I didn’t even get to read half. Oh well… there’s next year, because there will always be plenty of great books to read! 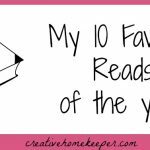 To see all the books that I actually did read this year, check out my Pinterest board below. Follow Victoria @ Creative Home Keeper’s board Book Read in 2014 on Pinterest. What did you read this year that you enjoyed? And what are you planning on adding to your 2015 reading list? You’ll enjoy Notes from a Blue Bike. I need to add Love Idol to my reading list because I keep hearing so many good things about it. Can’t wait to read your book post! Love Sparkly Green Earrings and The Antelope in the Living Room. She also has a book about friendship coming out in 2015. I love reading. I’ll have to add some of these to my list. I love reading too! Glad to share some great book recommendations with you! They are all so good! I hope you get a chance to read Surprised By Motherhood in the New Year. I’m going to be posting my reading list for the New Year soon so hopefully you’ll get a chance to check it out. Yeah…had a really hard time with the War Brides book…but loved Secret Keeper! I second the recommendation for Love Idol – one of my all time favorites!